Quintana Roo (QR) marked its 30th anniversary of manufacturing award-winning, high performance triathlon bicycles last weekend when QR-sponsored, US triathletes Matt Hanson and Jodie Robertson, aboard their respective PRsix bikes, won the men’s and women’s titles at the Memorial Hermann IRONMAN North American Championship. Hanson broke his own American record (set in 2015 at the same location) with his 7:52:44 finish on The Woodlands, Texas, course. Robertson, who has only been in the sport two years, bettered her 2016 second place finish and captured her first IRONMAN title by claiming the top spot on the podium with an 8:56:32 time. The wins ensured that Hanson and Robertson will be flying their Quintana Roo PRsix bikes to Kona for the IRONMAN World Championship in October. 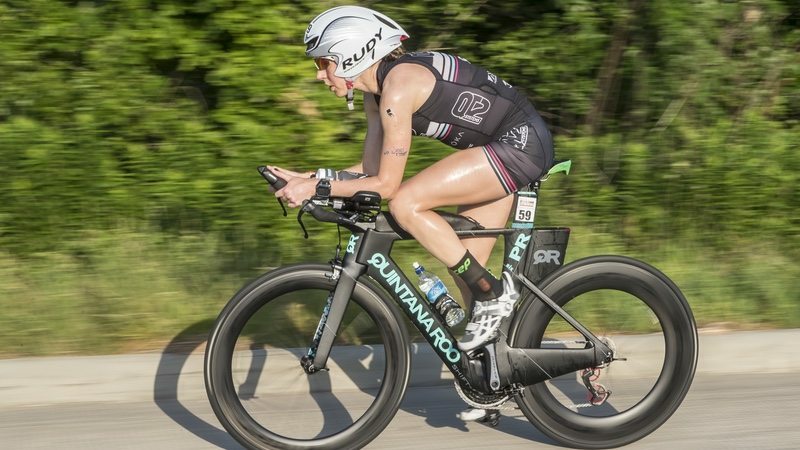 “The IMTX bike course is right up my alley,” said Jodie Robertson. “I love grinding out super steady watts in aero for a long time and with my PRsix, it was aero all the whole way!” Robertson’s race plan focused on fueling well and hitting her heart rate and watts targets.